“A merchant who approaches business with the idea of serving the public well has nothing to fear from the competition.” These were the words of James Cash Penney, the entrepreneur and businessman who founded J.C. Penney in 1902. Serving the public is what we at The Roundup are wholly committed to doing, and that will not change with the addition of a little competition. Beginning in March, the Fresno Bee is bringing back the Clovis Independent. It’s a familiar name to most of us, as it was Clovis’ weekly paper until The Bee shut it down six years ago. Seeing a huge void left in the wake of The Independent’s departure, Kenny and Donna Melchor started the Clovis Roundup. A few months ago, we got word that The Bee had plans to resurrect The Independent, and have since confirmed that it will be happening in March. Why would The Bee feel the need to sweep back into town after letting the community down once before when, frankly, their presence is not needed? We can’t help but wonder if it’s due to The Roundup’s success. Regardless of their reasons, our initial reaction was to panic. How can a small, family-owned business compete with a conglomerate like McClatchy? They’re contacting our advertisers, undercutting our rates and leaving us to wonder how we’re going to survive when pitted against their deep pockets and larger staff. Fearing that the paper they’ve invested everything into was about to face its demise, the Melchors decided to go weekly starting in January. After putting out just one extra issue, it became clear that The Roundup does not have the manpower or the cash flow that a weekly paper requires. They realized that in trying to get ahead of the competition, they were probably digging their own graves. They also felt it was important that we continue giving our advertisers the best possible value for their investment. As a bi-weekly paper, our advertisers get two weeks of exposure as opposed to one. Many of our advertisers are small businesses like ours that are operating on limited resources, so we listened when they told us they couldn’t afford to double their advertising budget. Here at The Roundup, Donna runs the business end of things. Kenny handles advertising, although he readily admits he’d like to spend more time fishing. I manage the editorial with the help of a few freelancers, and we have one graphic designer. We are a small team that works incredibly hard, but realistically, how can we compete against The Bee? Well, we can’t. So we won’t. Because we remain committed to putting out a bi-weekly paper that celebrates Clovis and serves the community well, we don’t believe we’ll need to compete with a paper that showed its true level of commitment six years ago. For those of you who advertise, thank you for your support, as it’s what keeps the presses running. 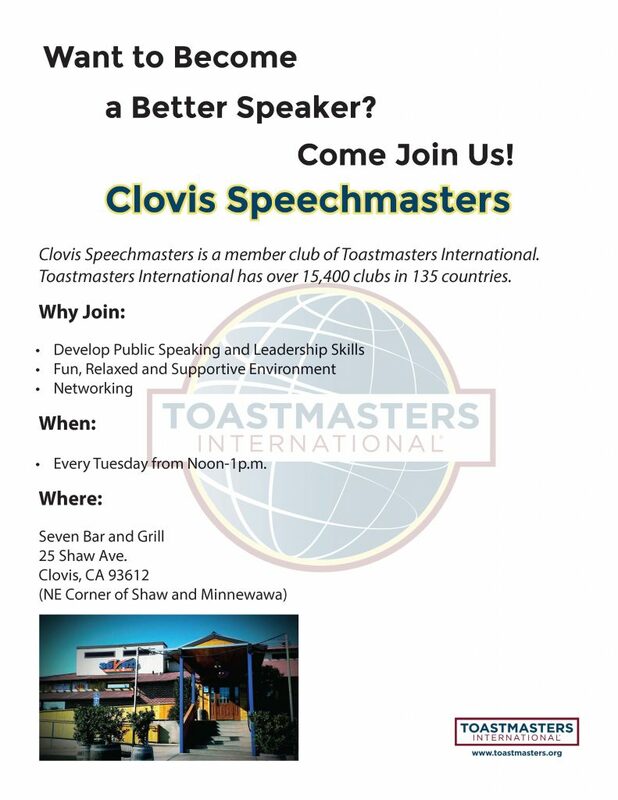 By keeping your advertising dollars here in Clovis, your money is being invested right back into the community. For those of you who read the paper and share your stories with us, thank you for inviting us into your homes and lives. It is an honor that we don’t take lightly, as evidenced by the fact that we have faithfully believed in and supported Clovis from the very beginning. We are truly privileged to be such an integral part of this community, and we thank each and every one of you for your continued support.